Gabriel Cramer was a Swiss mathematician born in 1704 in Geneva from parents called Anne Malet Cramer and Jean Cramer, a medical doctor. 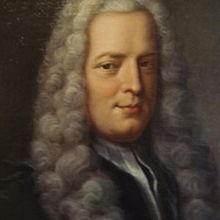 He submitted a theory about sound at the age of 18 years old in 1722 and was awarded a doctorate. He travelled with many mathematicians of his time. In came back in 1729 in Geneva and became the sole chair of Mathematics at the Academie de Clavin. He passed his life teaching at the academy and also keeping contact with other mathematicians. He died on January 4th in 1752 at Bagnols-sur-Cèze in France. He lived the movement of enlightment which inspired event such as the French revolution and also the American Revolution. He also lived the declining of the Ottoman Empire. His major work was Introduction à l’analyse des lignes courbes algébriques in which he published his rule called Cramer’s rule. It was a way of finding the solutions to n variables in n equations in linear algebra.